Screen capture takes our call recording to another level! 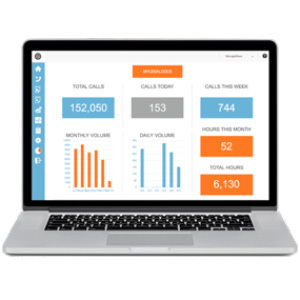 In addition to voice calls, we can now capture what your staff are looking at on their PC while on the phone to the client – allowing you to see how employees handle customer situations. Provides a 360 degree view, along with the voice recording, to see the entire customer experience. You set the frequency and intervals of when each snapshot of a screen capture takes place. This can be set by minutes, seconds or even down to fractions of a second to provide a continuous feed of screen information without consuming network bandwidth. During playback of a call, Compliant will display a preview of the screen snapshot next to the call, along with a graphical marker in the call when the capture actually took place. Each screen capture has a marker so that you can monitor what is being said and what screen or application the employee is using during the call. 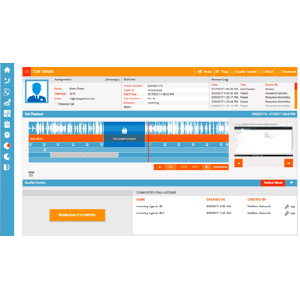 In line with PCI (Personal Credit Information) Compliance, Compliant highlights the section of the call where the PCI compliance takes place, depicting the silence in the recording and where the screen capture is blocked. Includes a fully integrated API into your payment platform.